Japanese students wearing vintage and hand-me-down pieces while out in Harajuku. 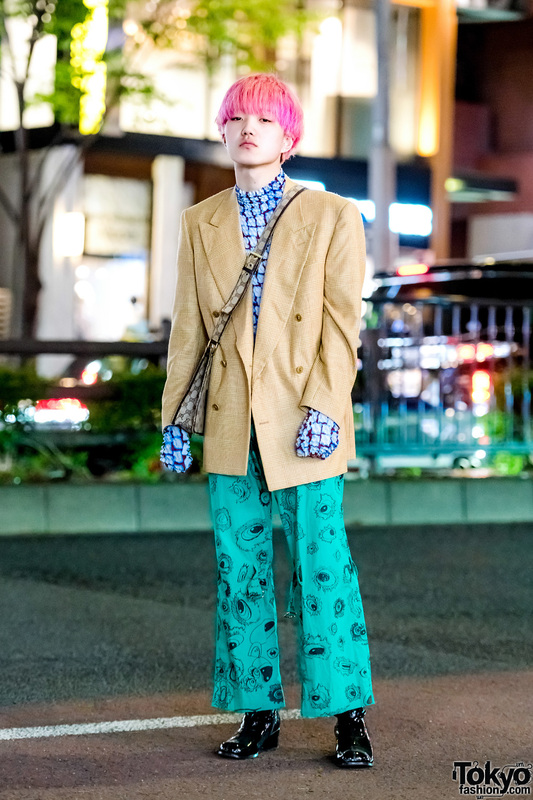 Pink-haired Harajuku guy in mixed prints fashion style spotted on the street one evening. 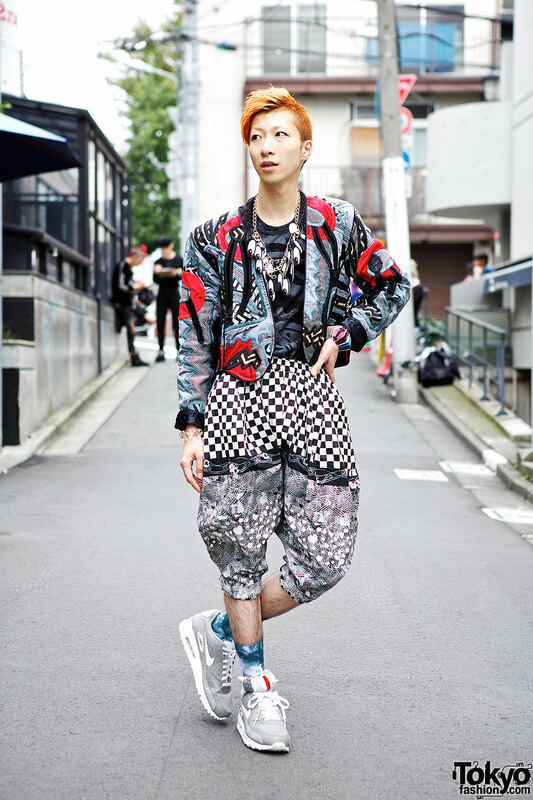 Harajuku guy with pink-red hair wearing three-quarters length pants, printed jacket, sneakers and eyes necklace. Harajuku student in clashing prints from Super Lovers with maxi dress and platform sneakers.